On today's blog: Equip your kids spiritually with technology. As adults, we love the conveniences that the newest generation of smartphones has brought us. But the next generation—today's children—will never know a time when they weren't able to carry the Internet with them everywhere. Will they use that technology in ways that honor God? 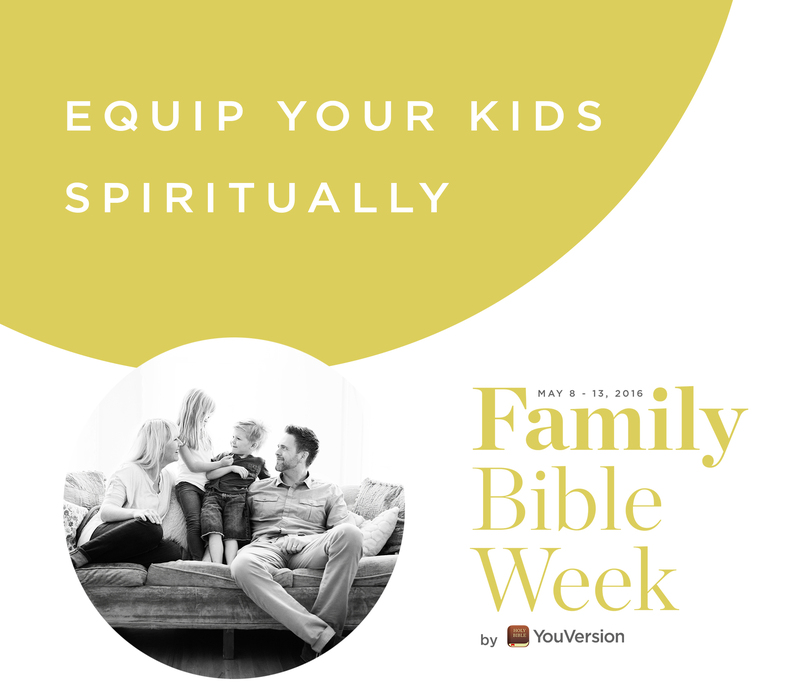 Today for Family Bible Week, find out how you can model making the Bible a part of everyday life for today's connected kids. Get practical advice you can start using right away, and hear from a new YouVersion partner who's been been helping kids engage with God and His Word for over a century. Also, we'd love to hear from you in the Comments. Give your kids more than “just” storytime. Tell us: What does the Bible mean to your family?